Whether you have a residential pool or manage a public or commercial pool, maintenance and repairs are a part of the process of keeping them running smoothly. A pool will continue to function effortlessly and efficiently, provided it receives regular maintenance and needed repairs. One of the most common causes of pool problems is a damaged or inefficient pool pump. The pump may stop performing at its optimum level, or may even develop a more serious issue, if it’s not regularly maintained. If you are experiencing issues with your pool and have narrowed down the problem to the pool pump, Miami Pump is the number one place for repairs. Our team has almost four decades of experience in repairing residential and commercial pool pumps in the Miami area. When you contact us regarding pool pump repair, we’ll dispatch a team of experienced professionals to your location. Our team has all the expertise and equipment necessary to detect and repair almost any brand or model pool pump. Some repairs can be completed on site. Our team will handle such repairs on the first visit, ensuring that your issue is resolved promptly. But not every pump repair can be resolved on site – our team may need to disassemble and remove a part of the pool pump, or the entire pump, for repair off-site. In cases where off-site repair is needed, we take the pump from your location to our shop, perform the needed repairs or rebuild, return it back to your location, and complete the installation. 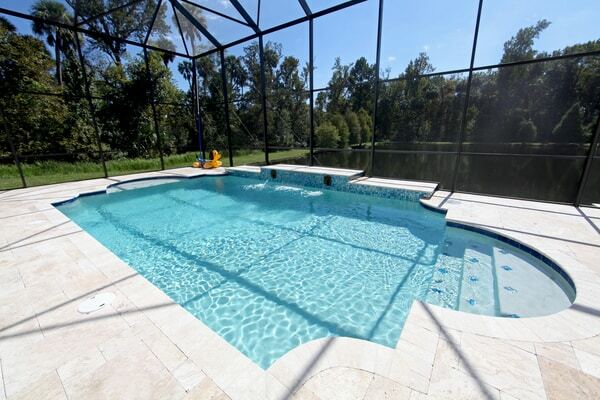 Our Miami Pump team handles the maintenance, repair and replacement of any type of pool pump. Our technicians are certified and trained to conduct service and repairs for all the major pump brands, such as Goulds, Zoeller, Taco Hydronic and Bell & Gossett. The number one cause of damage to a pool pump is a lack of maintenance. These machines work very hard, as they are pumping water almost constantly. If a pump is not assessed and maintained every few months, it can develop small issues. These problems may not be noticeable at first. The pump continues to operate, albeit at a lower efficiency. Eventually though, the problems intensify and lead to a complete shutdown of the pump. Such repairs are more costly, time consuming, and avoidable. Miami Pump and Supply offers pool pump maintenance services, where our technicians periodically inspect and maintain your pump to ensure optimal ongoing performance. These services will save you money on more serious pool pump repairs, while ensuring that your pool is operating correctly all year long.